Sid Fleischman's Newbery Award-winning book translates to the stage with this musical adaptation. 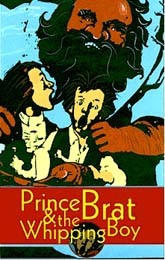 The play traces the unlikely friendship between Prince Brat and Jemmy, the street urchin who's been brought to court to take the Prince's punishments for him. Though Jemmy has plans for a solo escape, he's enlisted by the Prince as a companion runaway. For ages 5 and up. Costumes and sets designed by Johann Stegmeir. Alan Poindexter directs. scheme escape. Photo by Donna Bise. 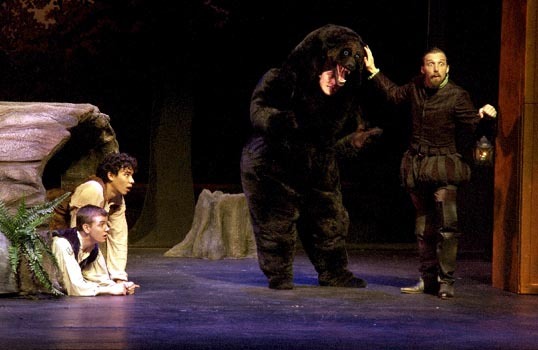 with a little help from Petunia the Dancing Bear (Bradley Moore). Photo by Donna Bise. 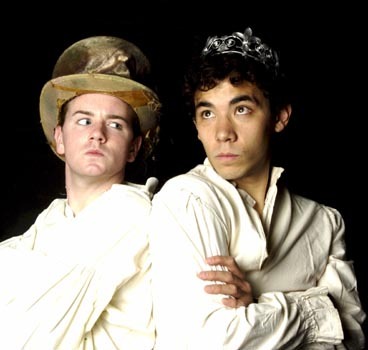 Jason Stamey and Conrad Ricamora as the prince and his whipping boy. 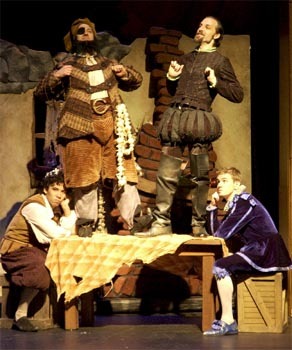 In rehearsal, Brian Robinson, Jason Stamey, Conrad Ricamora, and Mark Sutton play the scene in which the prince and the whipping boy are accosted by thieves. Photo by Lydia Arnold. Against a background of children's drawings inspired by If You Give a Mouse a Cookie, the court of Prince Brat's father enjoys an entertainment. Photo by Lydia Arnold.